I’m not much a fan of killing anything (possibly fleas excluded). 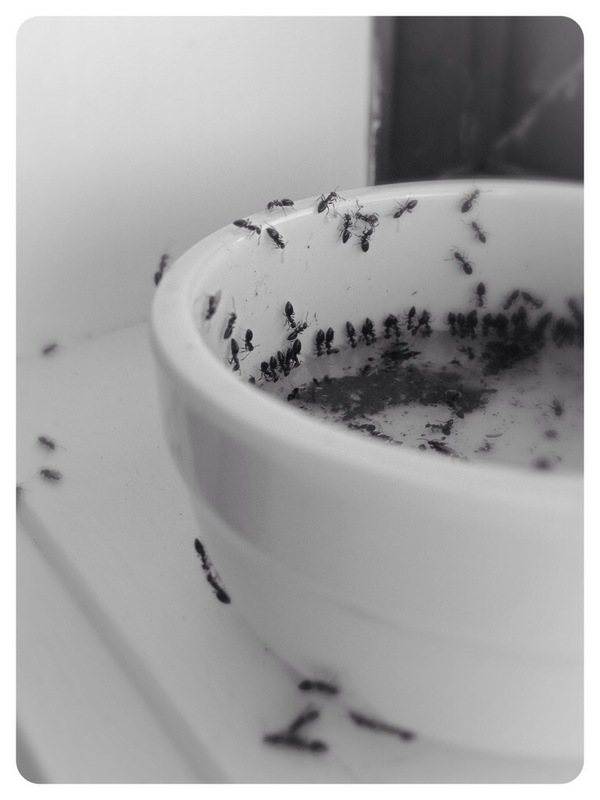 At work, ants had decided to co-exist with us in the bathroom until this Friday when I walked in to see we had given them a gift they could not refuse. Briefly taking a moment out of my day I glanced at them, with a compassionate look. They didn’t know they were drinking poison. They didn’t know their amazing and intricate city was about to be destroyed by sickness and death. What had they done to us? Just run around and gone about their days. Now, if you have read to here, snap back out of the thought. It’s not one to linger on for long! Thanks. I’ll put it down to a long active weekend with little sleep. The light will return!